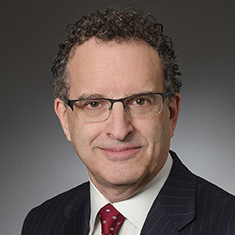 Henry Bregstein is the global co-chair of Katten Muchin Rosenman LLP's Financial Services practice and a member of the firm's Board of Directors. In his role as partner in the Financial Services practice, he advises alternative investment managers, hedge funds, commodity pools, private equity funds, insurance-dedicated funds, illiquid and liquid-alternative funds, family offices, sovereign wealth funds, and investment advisers, as well as banks, broker-dealers, issuers (including those related to ICOs) and life and other insurance companies, in multiple jurisdictions on regulatory, securities, commodities, insurance, tax, fintech, crypto currency and distributed ledger technology, finance, licensing, corporate, and other legal matters. Henry provides guidance on fund formation and regulatory compliance and advice related to all types of alternative investment funds and accounts, including hedge funds (including quants, global macro, credit and crypto), private equity funds (lending, secondaries, life settlements, credit and real estate), insurance-dedicated funds (including bank-owned, insurance company-owned and corporate-owned life insurance (BOLI, IOLI, COLI)), tax efficient funds, funds of funds and managed account platforms. In this capacity, he counsels clients on the structure and documentation of alternative investment derivative and other over-the-counter derivative products, as well as hedge fund lending transactions, subscription finance, prime broker leverage and various insurance-related products. Henry regularly assists his clients with regulatory matters, such as responding to US Securities and Exchange Commission (SEC) and Financial Industry Regulatory Authority (FINRA) requests. Henry's evolving practice also includes regulatory enforcement and litigation matters. He represents market participants in regulatory investigations and counsels clients on a variety of compliance concerns. He represents clients and their associated persons before the SEC and the Commodity Futures Trading Commission (CFTC) and other regulators and self-regulatory organizations in investigations and enforcement proceedings. Henry provides organizational and investment counsel to investment advisers, introducers and broker-dealers relating to due diligence, risk assessment and controls, fee arrangements, structured and other types of agreements, strategic investments and structuring joint ventures. Henry also advises on matters concerning the transfer, utilization and licensing of intellectual property by broker-dealers and investment advisers. In his private equity transactions, securities and general corporate practices, he focuses on private offerings of debt and equity, joint venture agreements, commercial lending and acquisitions of subsidiaries, structuring of private equity transactions and investments for operating companies. Henry is frequently mentioned in the media and lauded by clients and colleagues alike for his work representing fund clients. He has been recognized by a number of hedge fund and investment industry rankings and publications, including Chambers Global and Chambers USA, where clients commented that he "knows the market and all the players very well" and is "clear and commercial in his advice," assert onlookers, who add that "he's commercially driven and technically strong." Henry was also recognized by The Legal 500 as a Leading Individual for Investment Funds. Additionally, he was named the "Distinguished Business Law Practitioner in Residence" at Widener University Commonwealth Law School and serves on the advisory board of Mercury iFunds™. Largely considered an innovator in his field, Henry holds two patents and has one patent application pending. He was granted a patent for a multi-level leverage account structure, allowing multiple classes of investors with differing leverage objectives to establish an investment structure that takes advantage of both the master-feeder structure and the reverse master feeder structure with segregated accounts in the same master fund. Henry's pending patent application involves a tax-deferred fund in which investors can obtain exposure to variable annuities and life insurance policies in a hedge fund structure with income tax deferment or elimination. Shown below is a selection of Henry’s engagements. CFTC and SEC Adopt Final Rules Further Defining "Swap Dealer," "Major Swap Participant" and "Eligible Contract Participant"